Loveland, Colo., April 1, 2017—Loveland-based creative agency, Bonfire Effect, celebrated two years in business. And to mark this milestone, the company is excited to announce a new direction, going back to the basics, if you will, in their approach to marketing. "...digital marketing is a dying field. And that is exactly what Bonfire Effect plans to do moving forward. While Hyde and Barhaug acknowledge that they will be utilizing a full spectrum of classic marketing strategies (from different eras throughout history), below is a list of the top approaches they want to revive as an agency in the coming years. These machines of yore eliminate the hassle and fuss of font selections, simplifying marketing collateral with a one-for-all type set that says “classy” to any customer. Plus, there’s nothing like a little White-Out to show that you care about the quality and detail behind your messaging. 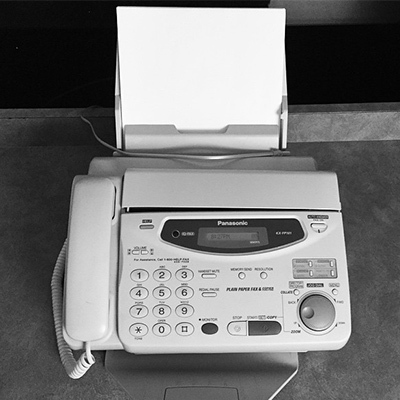 The professionals at Bonfire Effect have found that most people miss the sights, sounds, and yes, even the small wonders of fax machines. The eager anticipation on both the sending and receiving ends, and then, the miraculous appearance of the message as if from nowhere, the paper still warm from the inner workings of the printer. All of that magic erases any frustration of poor Internet connections, downed phone lines, and unnecessary piles of paper. Bonfire Effect admits that leveraging the Yellow Pages isn’t the most eco-friendly advertising practice. But environment schmironment. Who doesn’t love combing through alphabetically organized pages to locate their business of choice? Furthermore, the color yellow is scientifically proven to give consumers the happy feeling you want them to have as they make decisions about whether or not to engage with your brand. Plus, you get to sit at the grown-ups table this year! In a day and age where everything is in color, the designers at Bonfire Effect will be returning to black and white printing, paying homage to the past while also standing out from the sea of vibrant hues and shades that are so commonplace today. By printing everything in black and white, the agency also hopes to be more sensitive to the limitations and struggles of the color blind. Last but not least, Bonfire Effect is staying true to the agency’s fiery namesake by bringing back the art of smoke signals. This ancient marketing tradition is a masterful way to achieve memorable connections between businesses and customers. 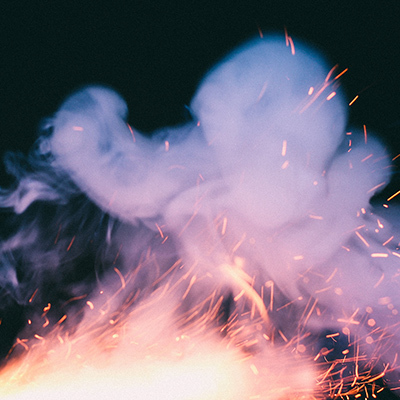 In contrast to the standard emails, digital ads, and social media posts of the day, smoke signals are a grand gesture that help to attract and win customers every time. Plus, they don’t live on forever in that Internet thingy. With this bold move toward olden-day approaches, Bonfire Effect hopes to continue serving their present and future clients with innovative marketing ideas—on April Fool’s Day and every day after. About Bonfire Effect: Bonfire Effect was born from nearly 50 years of experience living on the edge of creative advertising, marketing, and customer engagement. Each of our leaders has had the privilege of working with hundreds of companies of all sizes from a wide range of industries. And in other (real) news, we have now switched our agency beverage of choice from scotch to bourbon. Good bourbon, not that swill that grandpa used to hide in the garage. Check out our new website signoff at www.bonfireeffect.com.